Good things come in small packages and that applies to Daffodils for house and rockery. Miniature daffodils grow from 4 inches to just short of a foot. Varieties Minnow, Toto and Canaliculatus have several flowers on the one stem and are particular favourites of mine. Try growing some in pots in the cold greenhouse as welcome additions to your alpine plants. Cyclamineus varieties tend to be low growing. One of the most popular is the Tete-a-Tete with fluted golden trumpets which bulks up quite well year on year. I have just bought some Jetfire with a red perianth. 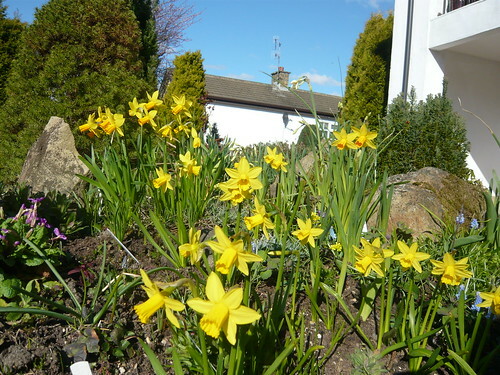 The number and variety of smaller daffodils in gardens and pots seems to grow every year. 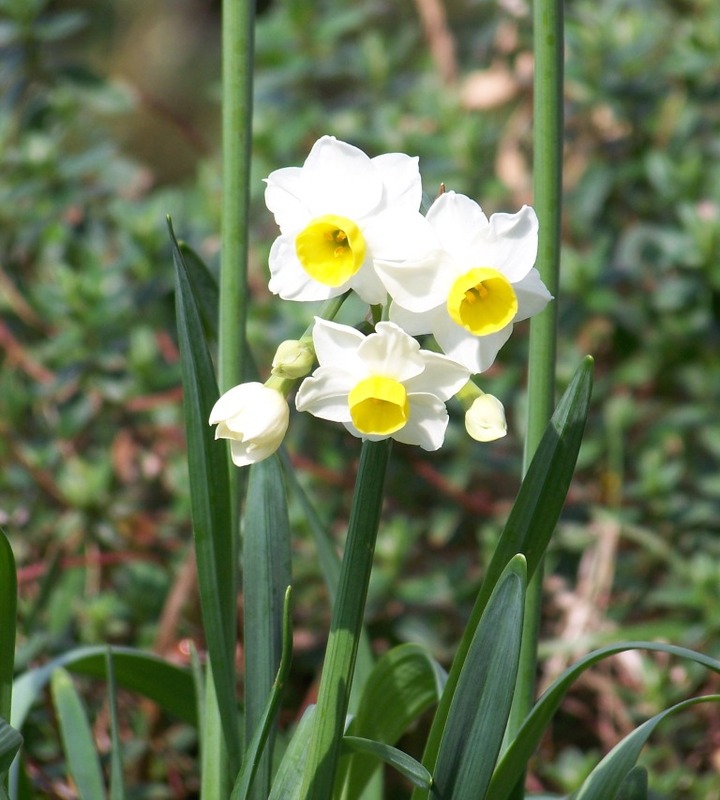 You can find them in catalogues under miniature, Jonquil or Cyclamineus Narcissus or Daffodil. Small is beautiful and I have resolved to grow more of the great little bulbs next year. I tried with some cheap bulbs this year but that has been a big mistake and many have been blind (ie no flowers at all). I am tempted to ditch them but no doubt I will try feed them up with both a liquid feed and some better soil. Flowering at Mothering Sunday time small daffodils are an unexpected and generally welcome present in a pot that can then be planted out to flower in future years. 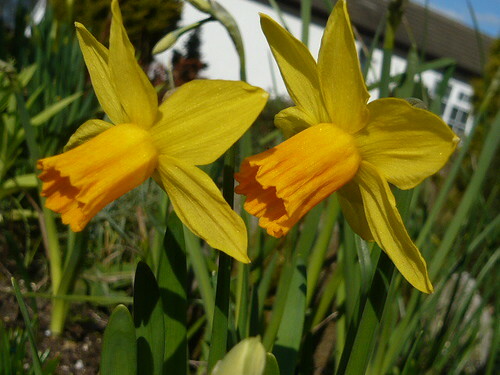 Read about our top ten list of other miniature daffodil varieties along with many growing tips.